Published Tuesday 4 December 2018 Ealing Council’s cabinet will meet next week (Tuesday 11 December) to discuss proposals to close a £57 million gap in its budget by 2021. This gap is more than double Ealing’s total annual budget for children centres, libraries, street cleaning, rubbish and recycling collections combined. If agreed, the latest proposals will reduce the gap by £12.3million. More will be brought to cabinet over subsequent months as the council seeks to reshape its services and achieve better results for local people. Ealing is facing its toughest financial challenges in living memory after years of significant and sustained cuts. Its government grant has been reduced by 64%; greater than the London and national average. By 2021, this grant will disappear and the council will have to fund its services solely through council tax, business rates, fees, charges and commercial income. At the same time, demand is higher than it’s ever been, with £232,000 spent every day on adult social care alone. Along with other local authorities, the council is lobbying government for a sustainable funding solution for adult social care. The council is making significant changes to guarantee the long-term sustainability of local public services. Some involve working smarter and being more efficient. At the same time, the council is asking local people to step forward and do their bit to help to make the borough better. The council has also set itself the challenge to improve residents’ lives, despite the cuts, through its Future Ealing programme. This includes a continued focus on preventing problems such as homelessness, helping families stay together and supporting older people in their own homes for as long as possible. Some of the December proposals reflect this. Latest plans include the launch of a new regional fostering and adoption service, joining forces with neighbouring councils to develop a better service and save money. The council also plans to move the sexual health service online, giving users more control with 24-hour access and quicker turnaround times. Ealing Council has the biggest council house building programme in London. Cabinet will hear of plans to invest in delivering 2,500 new genuinely affordable homes, a key council commitment, and one of the ways that it hopes to reduce its significant bill for rehousing homeless families. And the council’s flagship Better Lives and award-winning Brighter Futures programmes are expected to save millions of pounds by continuing to work with families to prevent problems and achieve better results for vulnerable children and adults. From, April, some fees and charges could also change with CPZ permits prices proposed to rise and new discounts available for electric vehicles. And cabinet will hear that the council’s drive to get better value from its contracts is having a positive impact. So far, £3.7million has either been saved already, or will be saved, through better procurement and contract efficiencies, including libraries, parking and ICT. The December cabinet papers are now available. Councillor Bassam Mahfouz, cabinet member for finance and leisure, said: “The scale of the government cuts means that for every pound that the council used to receive in government grants, it now gets just 36p. Our budget gap can’t be closed by increasing council tax and making further efficiencies alone, especially with the additional pressures of the national social care crisis that continues to be unanswered by government. 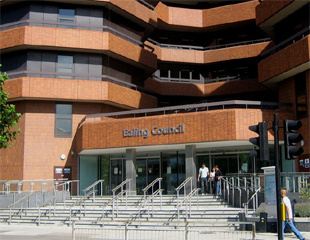 Councillor Julian Bell, leader of Ealing Council, said: “Like all London councils, Ealing is working hard to address the burdens of increased demand and funding cuts. These latest proposals address two of our biggest pressures; social care and homelessness. I am proud to announce that we are investing in genuinely affordable housing, our main council priority, and we are also seeing the benefits from our new ways of working with families and vulnerable adults. However, there is no escaping our very challenging financial situation. Local people can find ideas for how to make a difference in their local area on Ealing Bubble.